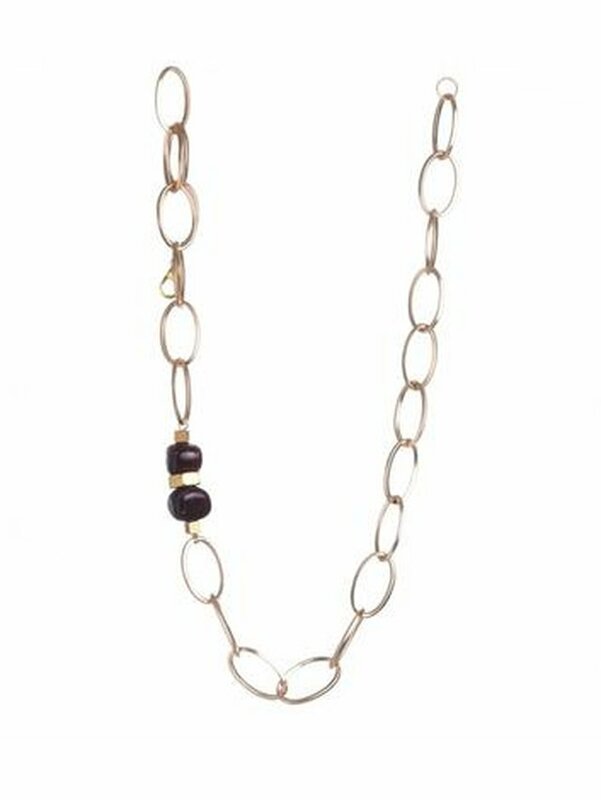 A glowing gold chain necklace with edgy onyx stones. 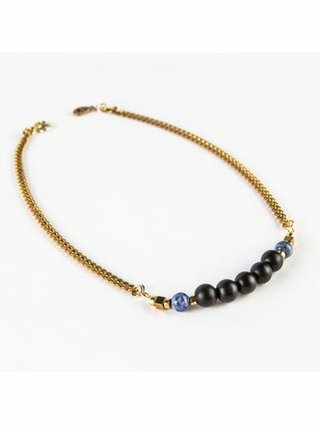 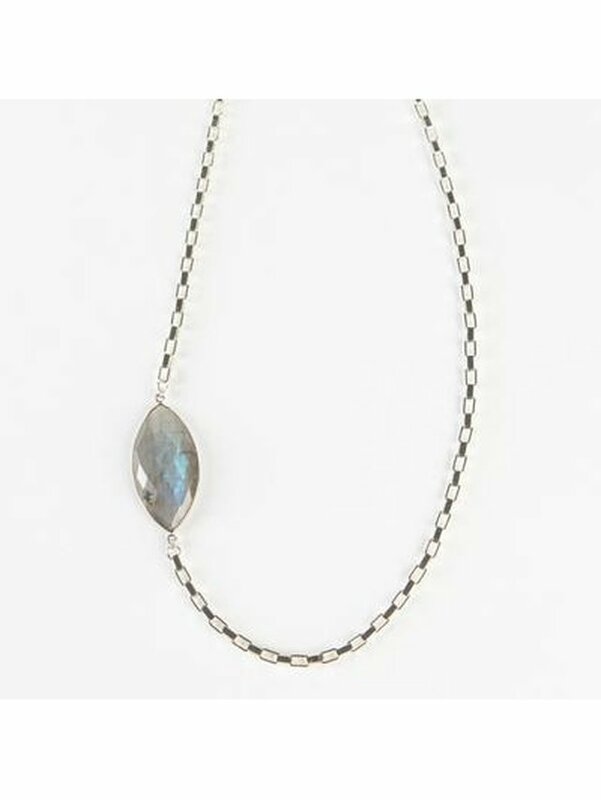 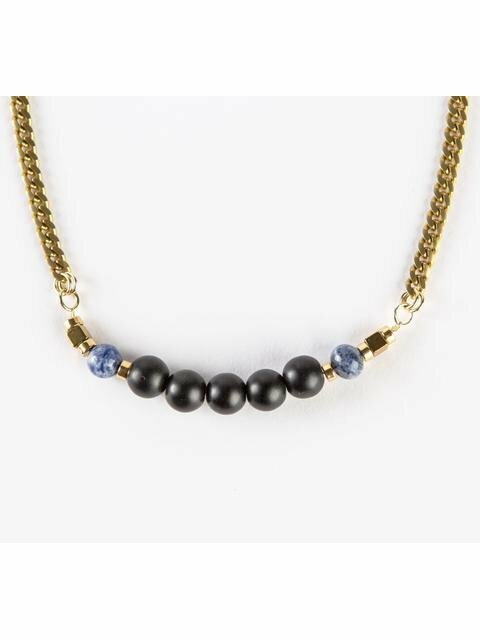 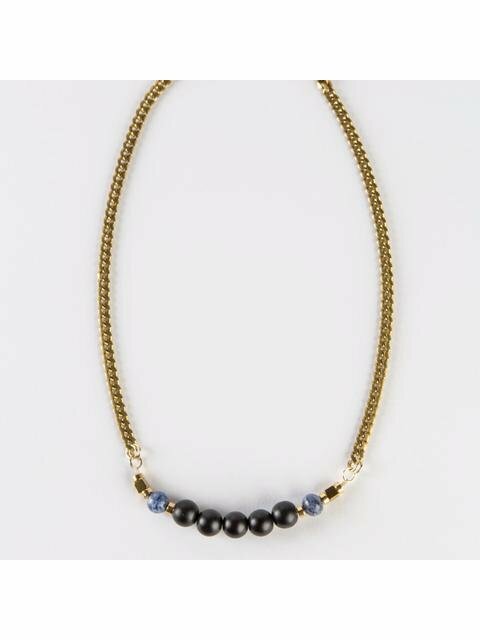 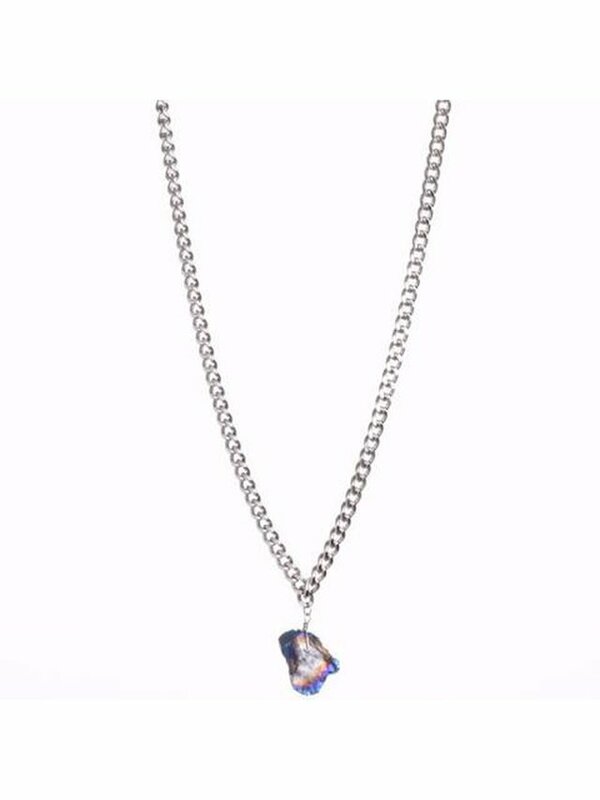 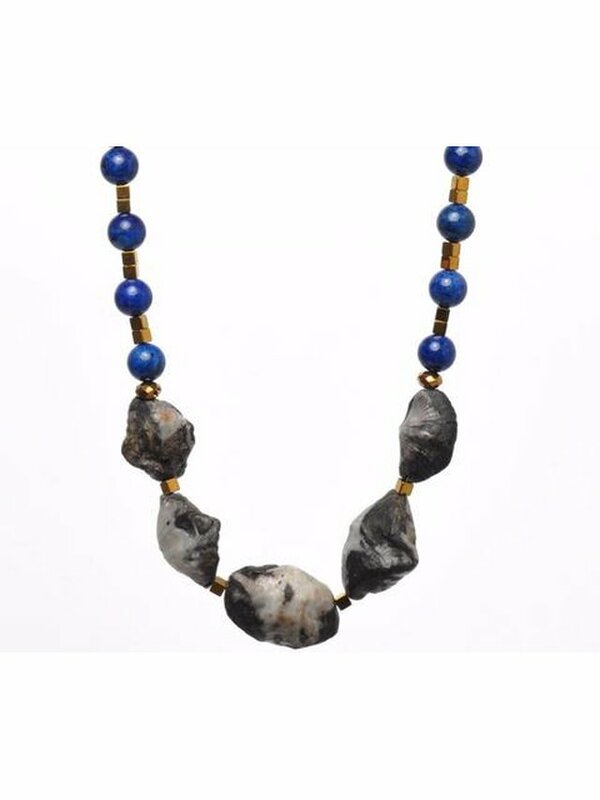 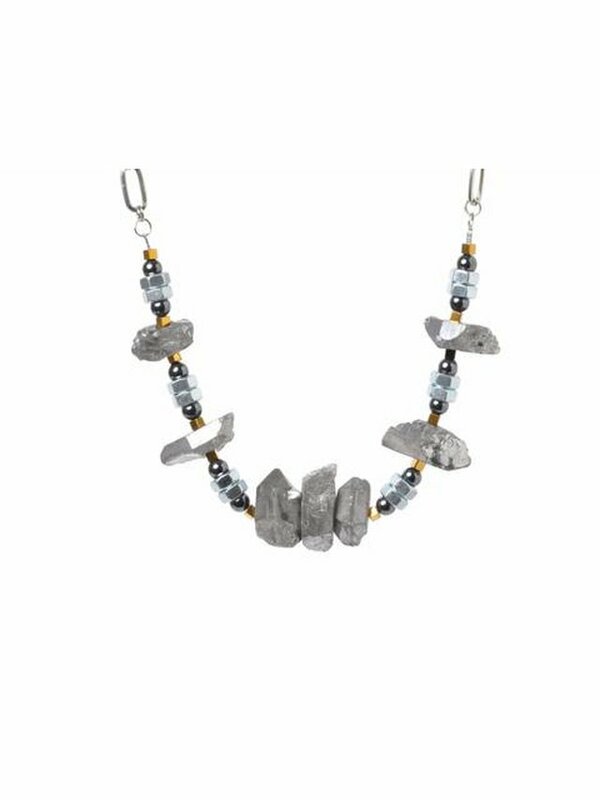 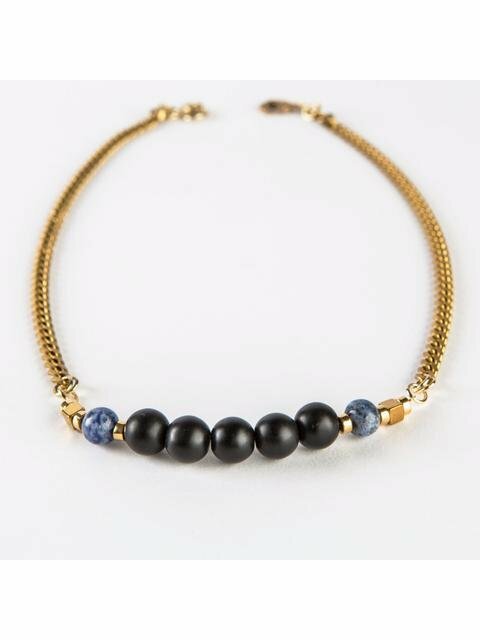 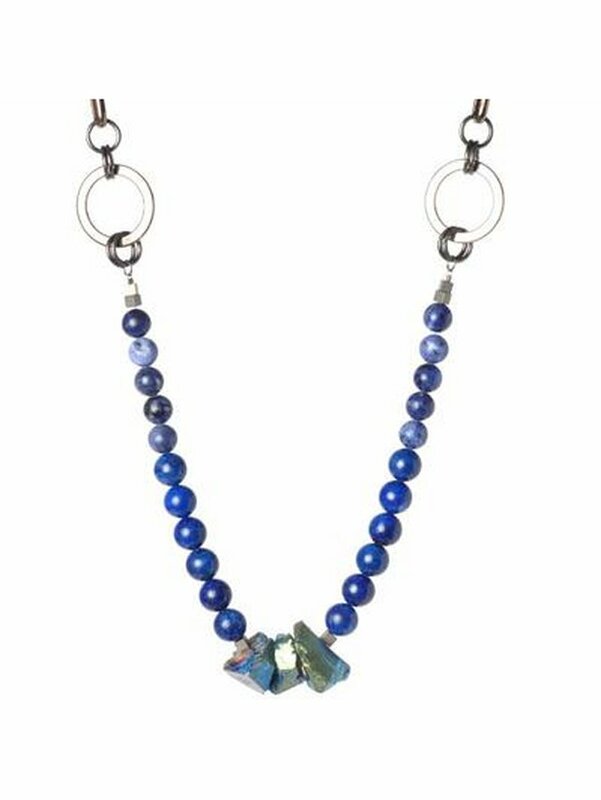 Single strand of onyx with moonstone, hematite details and brass and gold detailing. 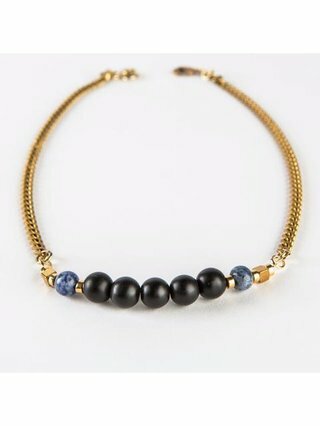 Brass, onyx, and moonstone 18" + 2" extension.